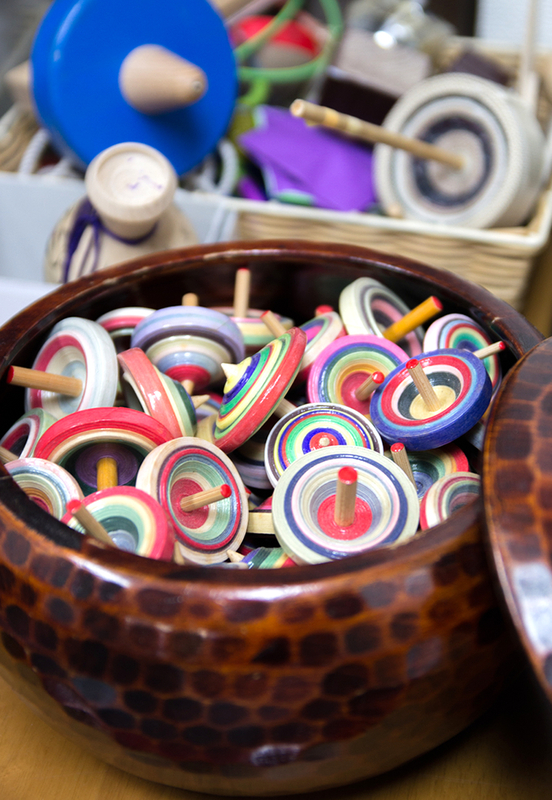 How about a rare experience of making of an original colorful Kyoto spinning top in a studio situated just near Nijo Castle? Provided with 4 colored strings and a rod, you will wind the strings around the rod and shape the spinning top with one swift movement. The piece is completed by applying a protection coat and then drying it. If the number of participants is more than 10 people and a facility is provided, the hands-on experience can take place in another location.